From little leagues to high school, many students dream of continuing sports throughout college. Members of the UNH Club Baseball Team are lucky enough to do just that in a fun but competitive league that tests their skills and heart for the game. Along with continuing to play a game they love, they build amazing friendships and truly advance as individuals by strengthening skills in teamwork and time management. 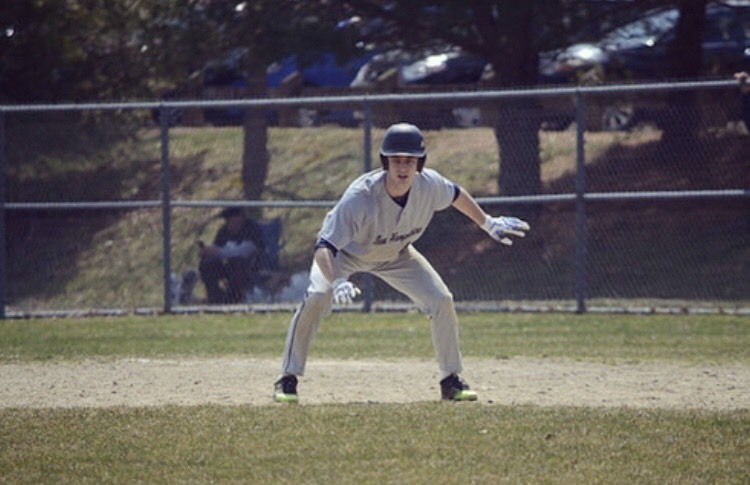 To understand more about the life inside club baseball at UNH, I reached out to team members Anthony DeGirolamo '21, Zack Peterson '21, Sam Werman '18, Charlie Day '19 and Chris Hyland '19. UNH Tales: How does it feel to continue your sports career after high school? DeGirolamo​: Continuing my sports career after high school is a dream come true. I think almost every athlete has this dream of playing at the next level, and I’ve been fortunate enough to carry out that dream. It’s an awesome experience. UNH Tales: How competitive is the club baseball team and how tough is it to make the roster? Peterson: We’re a very competitive team, in my opinion, with only a handful of players that get picked each year. We have a lot of leaders and experience on the team, which has been the key to our success, and hopefully we’ll be able to keep it going in the years to come. UNH Tales: How has your record been? Are there playoff contentions? Werman: We have always had a great team with a great record. For the first three years we were playing scrub teams, some without uniforms, and we would mercy them. I had never been a part of teams that could put up 20+ runs consistently. The level of competition we all wanted just wasn’t there, and it was disappointing. We had playoffs and won multiple championships, but they didn’t mean much because there wasn’t any competition. But this year we finally joined the National Club Baseball Association, where we have the chance to compete for the National Championship. Even though we joined this division, we still haven’t faced the competition we hoped for. We still mercy teams and beat them by 10+ runs, but having the chance to win the National Championship and move up to a higher division with better competition would be great for this team. We deserve to play good competition and have proven that year after year with our dominance. Hopefully in the coming years we will get that chance, but in the meantime we will continue do what we do best… win! UNH Tales: Why should students try out for the team, and how to you recommend they prepare for tryouts? Day: Players trying out should be fresh. Whether it is playing summer ball or just staying on top of your game by continuing to throw and hit during the summer, players who worked on their game during the summer months usually have the best chance of making the team. UNH Baseball has enjoyed monumental success over the past few years, and as incoming players, being able to continue that winning tradition should be a privilege and an honor. It is also an extremely fun group of guys, and your teammates in September become your brothers by May. UNH Tales: What is the team's goal for this season? Day: Our team’s goal for this season was to put ourselves in a position to win an NCBA World Series championship. We were able to lock up the number one seed in the tournament, so now we just have one more job to do: win it. UNH Tales: What makes the club baseball team so special? Hyland: The club baseball team is very special in that we bring out the fun in baseball at the college level, while still competing and taking it seriously. That’s one of the best parts about this team is the balance between fun and competitiveness.